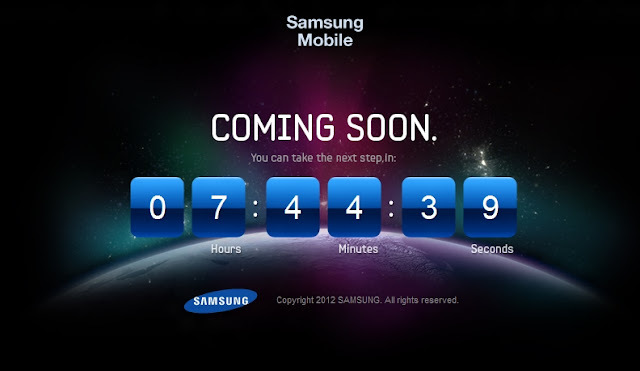 Samsung's getting prepared for the unveil of the 'teaser' for the hotly-anticipated successor to its Galaxy S II smartphone. The company's mobile division has tweeted has diverted users to a Samsung owned website called-http://www.tgeltaayehxnx.com-tgeltaayehxnx.com- which is an anagram for 'the next galaxy' where there is a countdown to 'the next step in' next 3 hours. The launch of Samsung's successor to Galaxy S II smartphone is scheduled on 3rd of May in London, so we won’t learn everything today, but perhaps we’ll know the device name. Rumors say that galaxy S III will be the next milestone in the field of Android devices and would also be the official mobile device for the London Olympics 2012. Well personally I do not think that Samsung would name the successor as Galaxy S III, though there are a lot of chances.